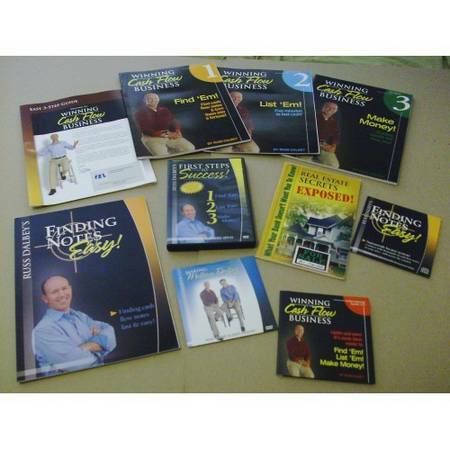 This Posting is for one virtually New Russ Dalbey Package. I Purchased this Upgraded Package for some $250. Once I received it I discovered that it would require FAR more running-around, etc than I am capable of doing (I am a Disabled-person). So, I am selling it to someone whom hopefully can make use of it. If you are in the USA I can Ship this Item to you (for my asking-Price). If you are outside of the USA there will be additional Fees. I can add Shipping-insurance to This (or any Item) for additional Fee. Please Note: ALL Sales are Final (NO refunds). Also Note: if you pay by Check/Money-order Item(s) will be Held until clearing & Posting in my account. As with all of my Items you may arrange to meet to acquire in person.